BBQ Grill Accessories For Any Outdoor Kitchen Grill Island - Immortalize Your Grilling! Access your liquid propane tank or natural gas hookup while providing convenient storage with the Door & Drawers Combo from Titan Grills. 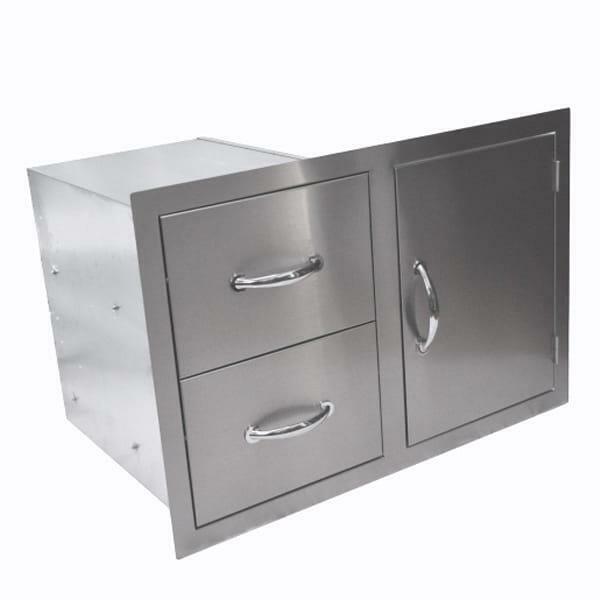 This stainless steel grill island combination will last for ages, providing the high-end look of this material to your outdoor kitchen. Store bottles, buns or whatever you need, preventing repeated runs indoors to the pantry or kitchen! Cutout Dimensions: 30.5" x 19.5"
Dimensions 32.75" x 22" x 21"
Cutout Dimensions 30.5" x 19.5" x 20.75"